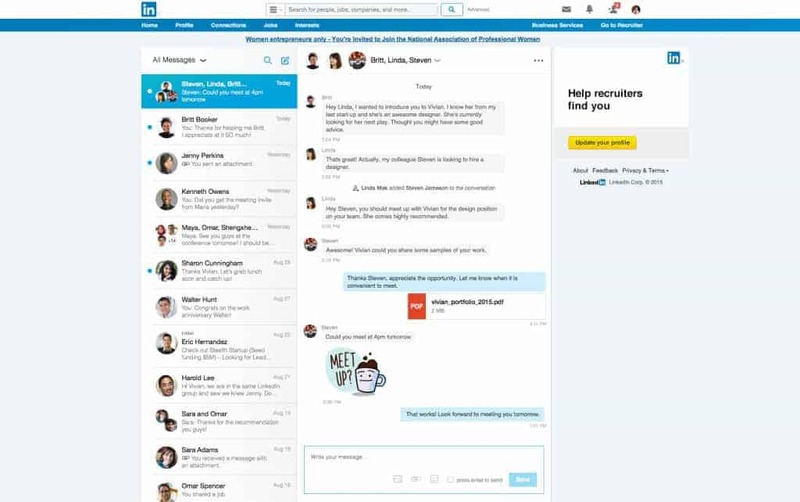 The new LinkedIn messaging window has been updated to be more like the chat windows we’re use to on other services, rather than the previous setup which was more like email. You can message people and groups of contacts with an easier to follow chat interface. Where it could previously be difficult to keep track of what was said to a contact in the past, the entire history of your conversation is now right in the chat window to make keeping on track easier. They’ve also improved the pushed and email notifications to make it easier to keep up with the conversations that matter most to you. In addition to being able to send messages to others, you can now attack files, pictures, and even emojis. The emojis are focused more on the workplace than other networks, with things like coffee and cats being key (cats are always key). 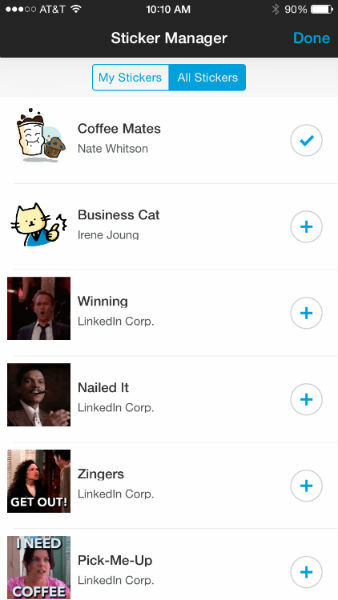 Additional collections can be enabled within the LinkedIn mobile app, so you can choose the sticker packages that are right for your communications (business cats are going to be big, I just know it). While emojis are a great way to connect with others and build a more personal relationship, keep in mind that they can also come across as unprofessional when used too frequently. Be sure your use of them comes across as bonding business person rather than 14 year-old texting their friend. The changes to LinkedIn messaging mean easier and cleaner communication with your business contacts. They bring new opportunities to build even more meaningful connections with your business buddies and strengthen those bonds. While some additional care will need to be taken when first connecting with others through this new messaging layout (formatting that initial contact to make it appear professional now takes a bit of extra planning), the benefits found from easing the way we connect with other professionals should surely bring bigger returns. 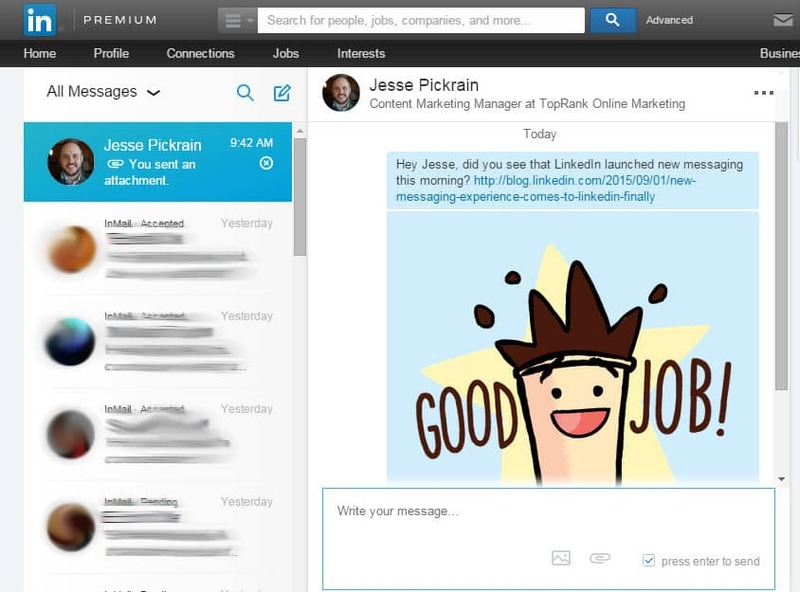 The new LinkedIn messaging starts rolls out on iOS, Android, and desktop web today. Give it a look and strike up a conversation with someone you haven’t talked to in a while. You never know what may come of your business communications now that they’ll flow freer.